Team Solo Mid cruise to a smooth victory over Samsung Galaxy in day 2 of the groups stages. Team Solo Mid get their first victory of Worlds in day 2 of the groups stages over Samsung Galaxy. 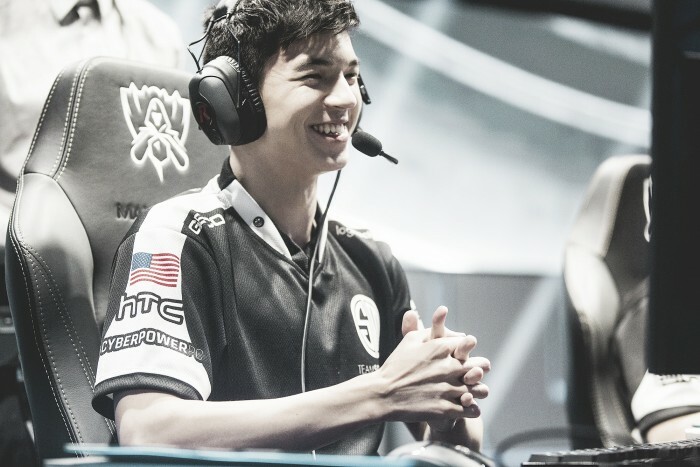 TSM took their lead early and often over SSG, with Bjergsen taking over the game on Syndra and Svenskeren being everywhere on the map on Lee Sin. The first instance of Svenskeren being all over the map was in this play in top. Sven used really nice patience with his skill shot and this early advantage snowballed into an even larger lead below. Here is where things were really getting ugly for Samsung. They thought they had a kill onto Svenskeren, and he pretty much just walked away with the help of his team. Team Solo Mid was completely dominating this early game, garnering a 4,000 gold lead at 10 minutes. This is a really good response to yesterday's loss against RNG. Bjergsen really dominated on Syndra, much like Faker just a couple matches before them. When asked about Faker saying Bjergsen's "NA Faker" title is well deserved, TSM's coach Weldon Green said, "We've worked on the idea of confidence - competence - knowing that you can make the play. IT probably makes him feel good, but he knows just as well as I do that he's put in a lot of work on delivering the right play at the right time, so I don't think it will affect him much." TSM needed this win desperately. Going into your third match being 0-2 is a hill that no one wants to climb, and getting this confidence boost over beating someone, especially an LCK team, will speak volumes to the future. TSM should feel better now that RNG stomped Splyce, because TSM knows they can match up with RNG, and can take down Splyce and Samsung Galaxy again. TSM will play Splyce tomorrow, and Samsung Galaxy will play RNG.